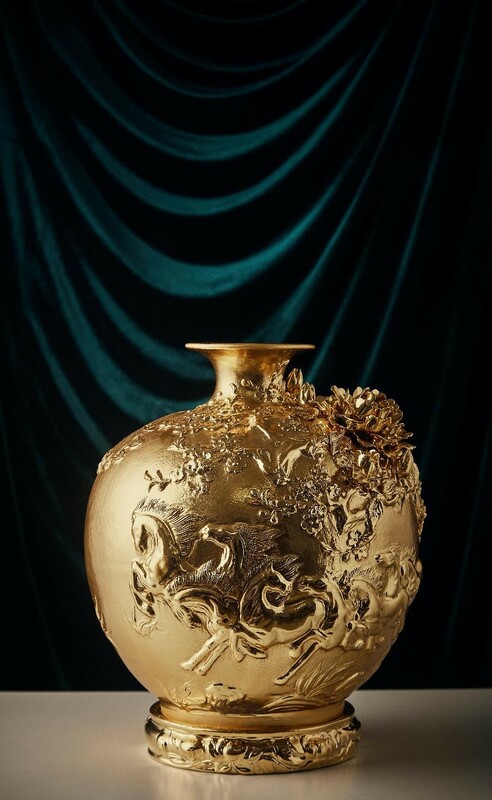 “The success” Vase representing the image of 8 horses is inspired by a traditional folklore which origin comes from the old life of the Han people in China. 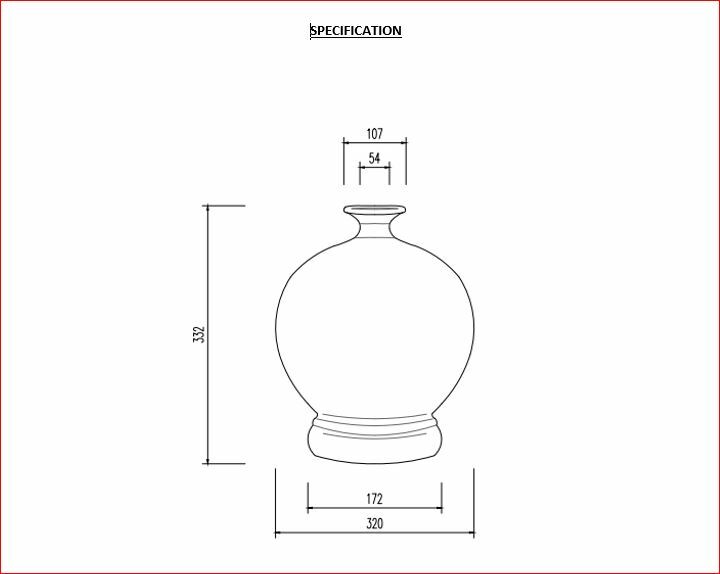 In spring every year, horses were often left into the woods to lure other wild horses back to their farms. 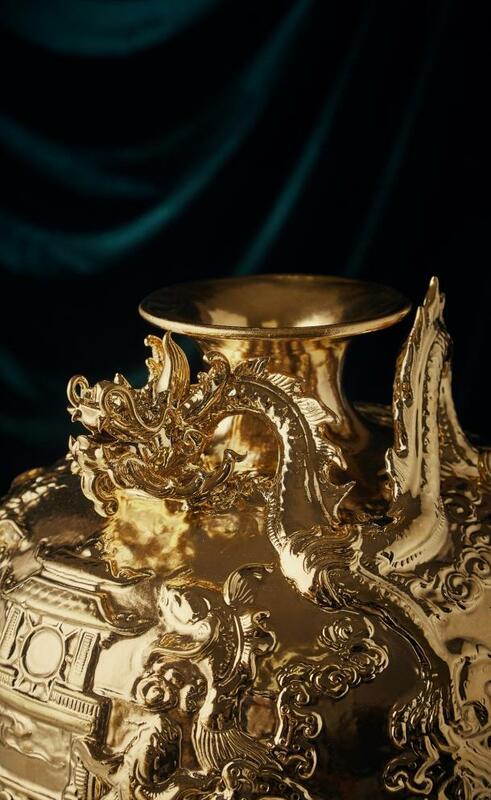 It could happen that the horse would never come back to the farmer once being set free or if the horse comes back with more other wild horses. 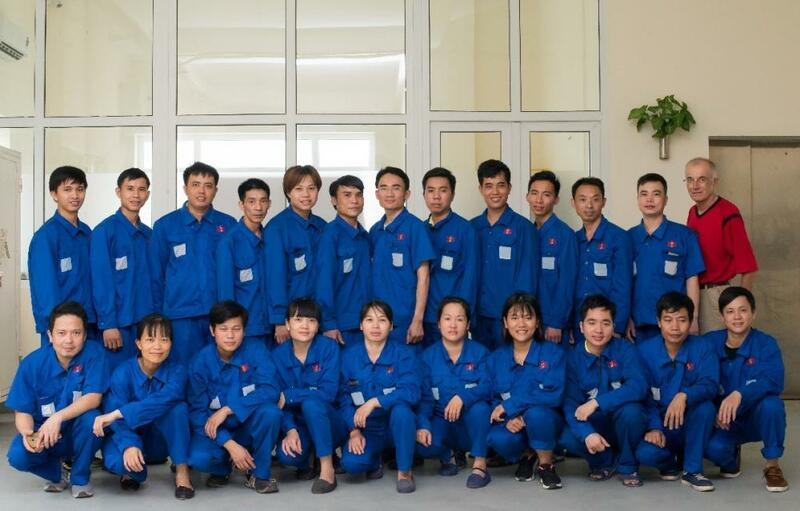 It means the farmer has gained success and enrichment by owning even more horses. 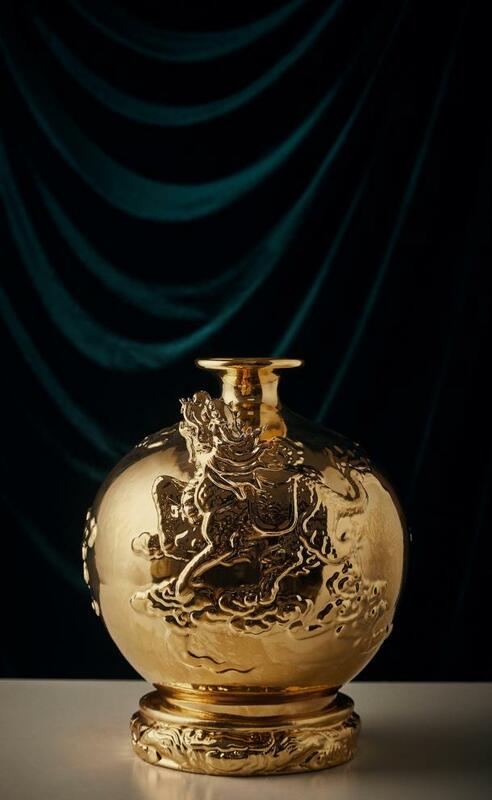 Therefore, “the 8 horses” has become a symbol representing success, luck, trust and hope to many people especially to business people in China & other Asian cultures. 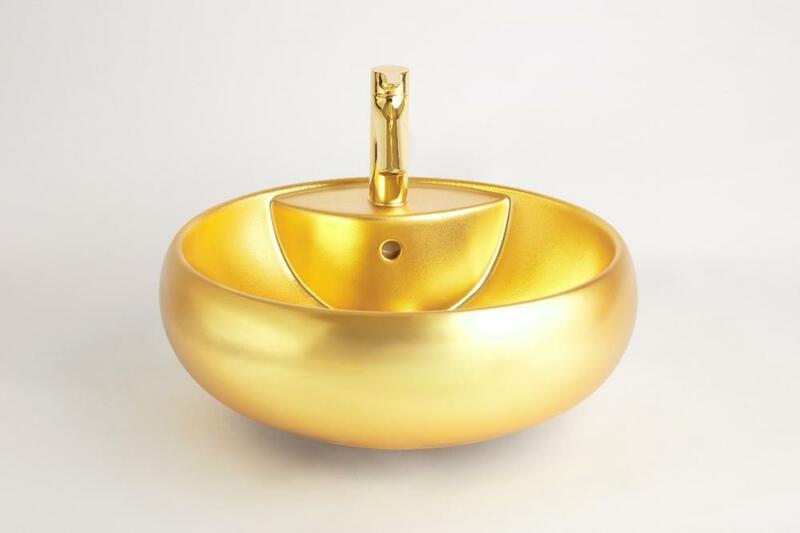 It will surely be a precious and meaningful decoration for business partners and friends. 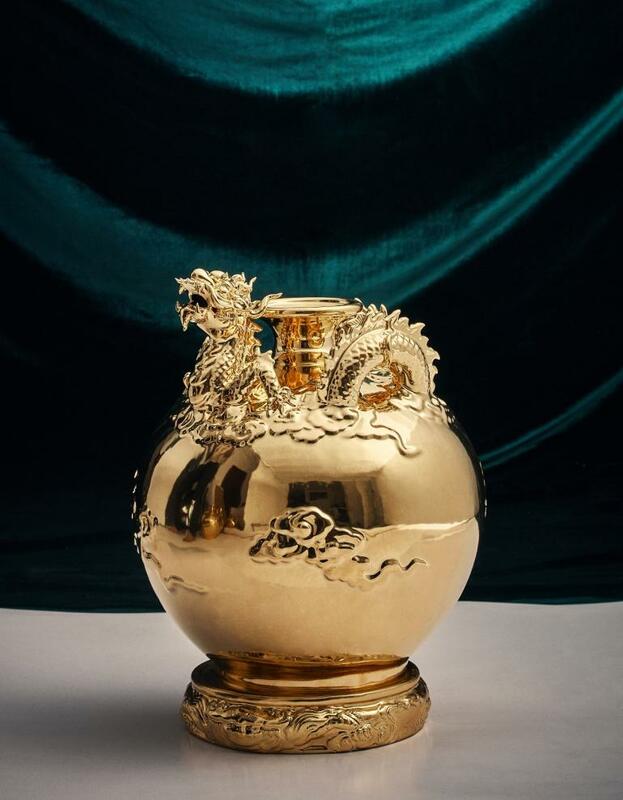 The phoenix, the king of birds is a totem of the empresses, belonging to the four most revered animals of ancient China, together with the dragon, kylin and tortoise which represent fortune, luck and prosperity in the Eastern long held belief. 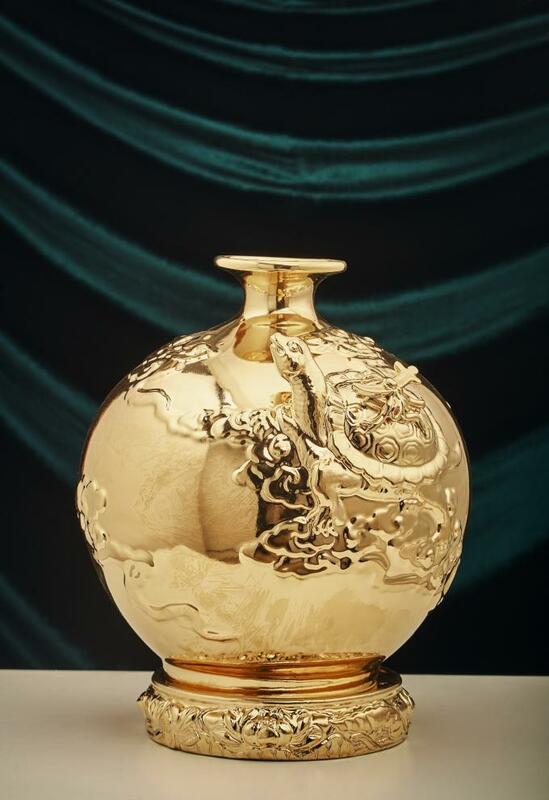 Kylin is one of the four most revered animals of ancient China, together with the dragon, phoenix and tortoise. 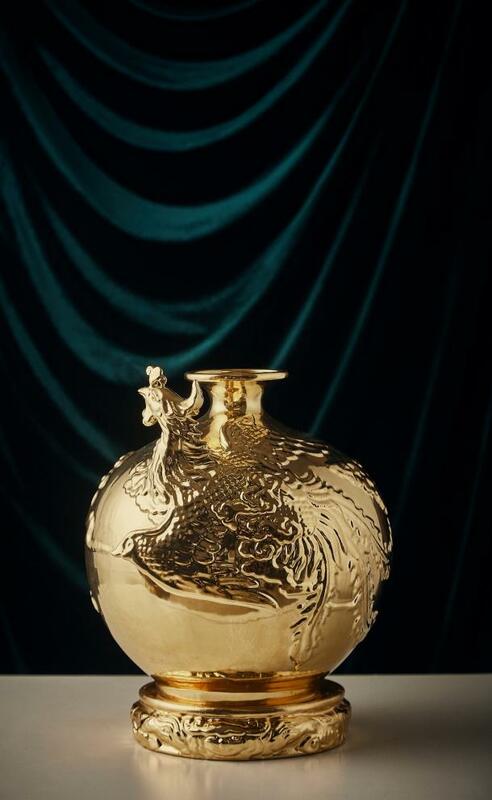 The “Bon Voyage” Vase is inspired by a common Chinese idiom (“In smooth Waters”) that implies something is executed perfectly, with no problems or difficulties. 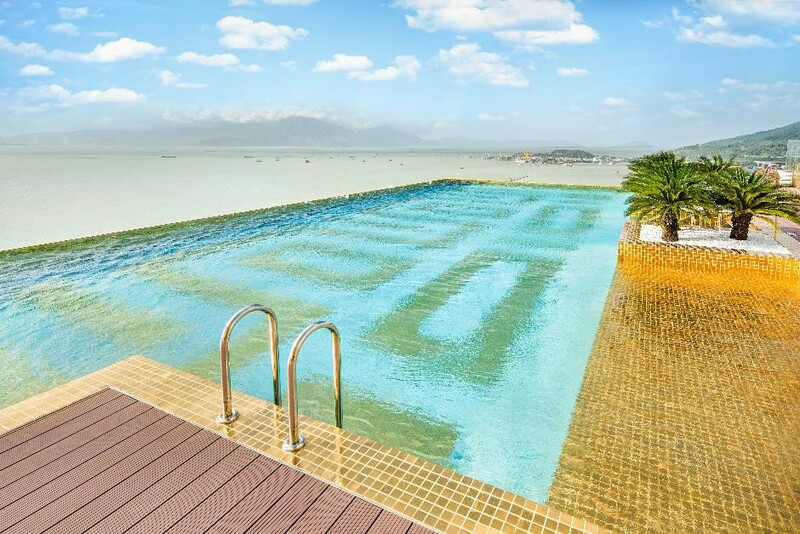 Like the image of a boat full of fortune, smoothly sailing to the homeowner. 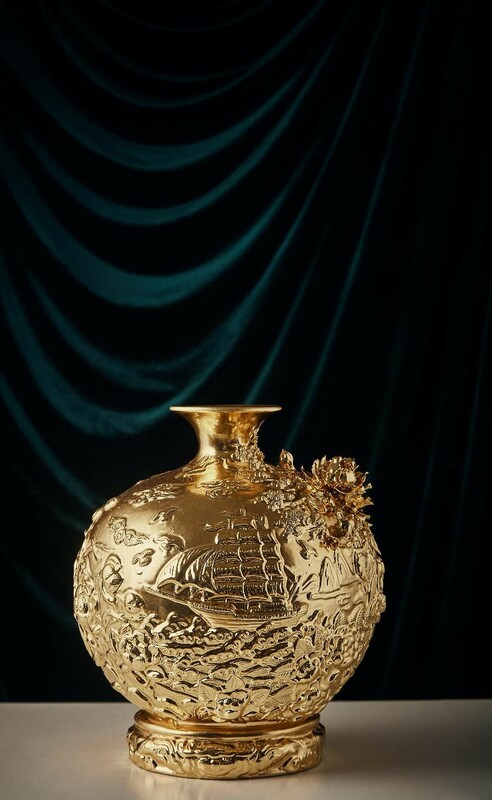 Our set of Golden Vases is a series of interior decorative items to fit the luxurious environment of hotels and houses. 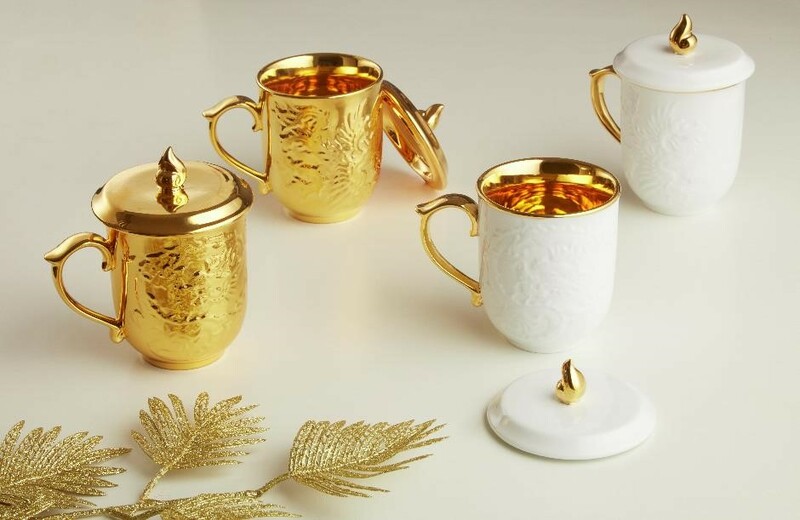 Tea has long become a lifestyle rather just a beverage so choosing the quality of the tea itself matters as much as the quality of the tea container which is essentially important to maintain the genuine taste of tea leaves. 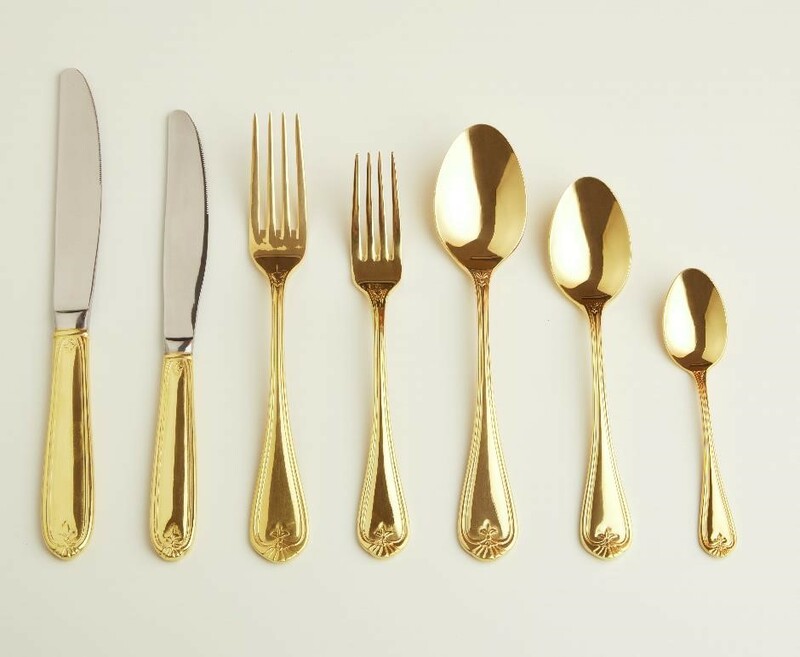 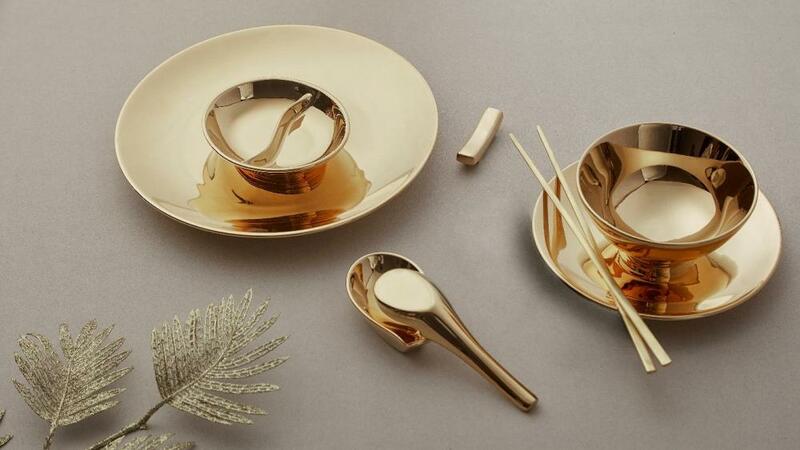 From the East to the West, kings used gold as a symbol of wealth and supreme power as the ancient Egyptian king used very sophisticated gold carved spoons, Qianlong Emperor used golden ornamental bowls to enjoy the most exquisite dishes. 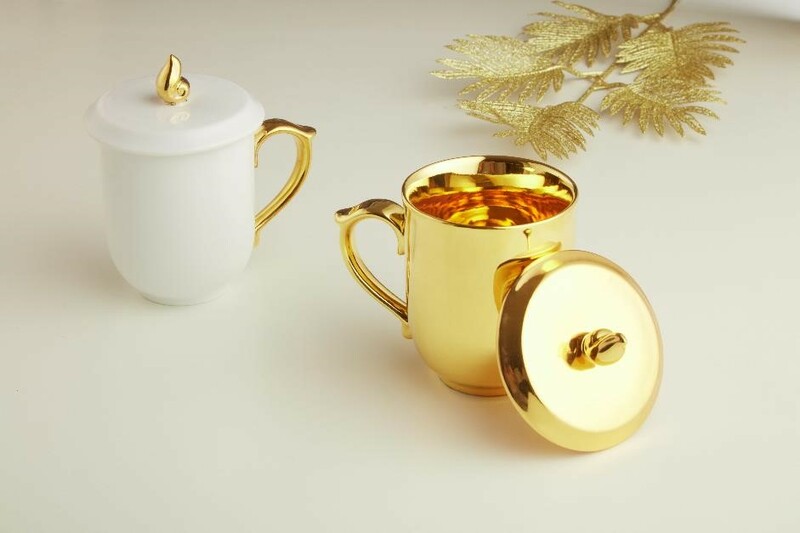 The 24K Golden Tea Mug Set gilded with 24-carat gold is another choice for those who fancy simplicity alongside with the dragon and phoenix tea mugs. 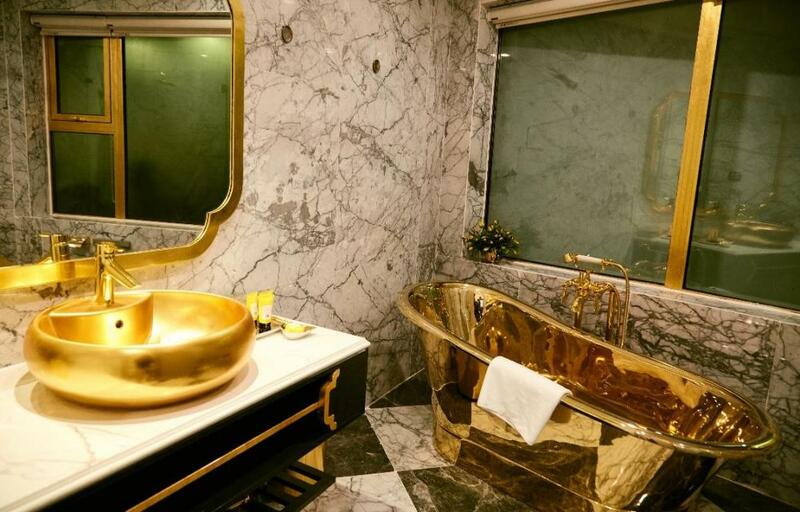 A variety of golden tiles made with pure gold coating is a highlight on the construction finishing list to uplift the touch of elegance and royalty. 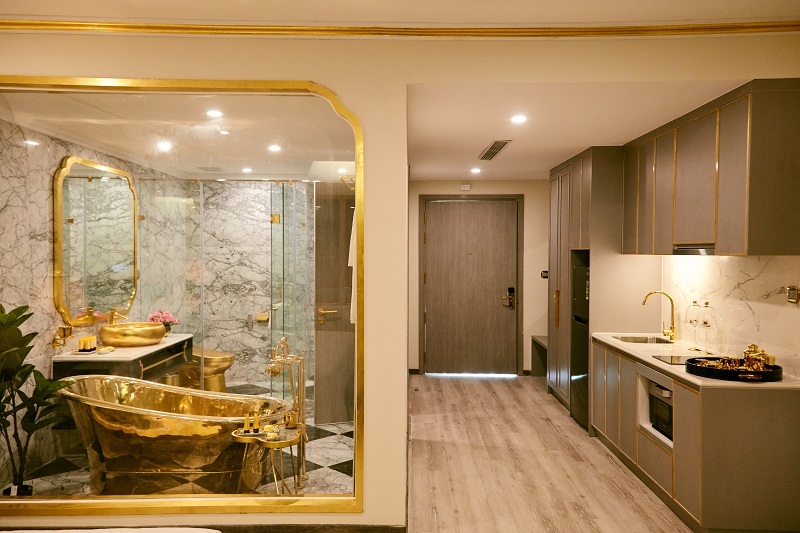 Hoi An Golden Sea is equipped with 24-carat gold plated bathroom accessories with the most advanced technology from Germany such as 24k golden bathtub, toilet, washbasin, faucet and showerhead. 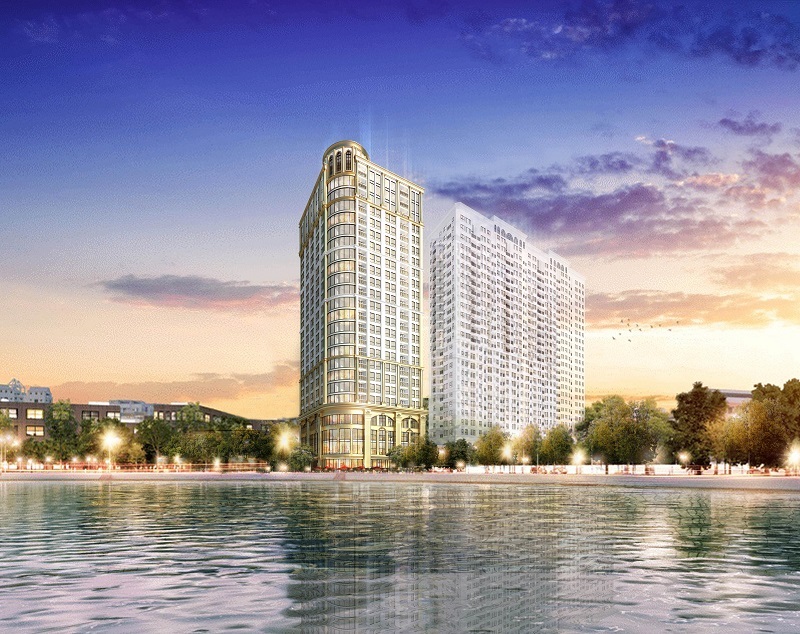 Located in the coastal city of Danang offering one of the most beautiful beaches according to Forbes, this was the very first 5-star hotel using our 24-carat gold-plated bathroom accessories and tiles. 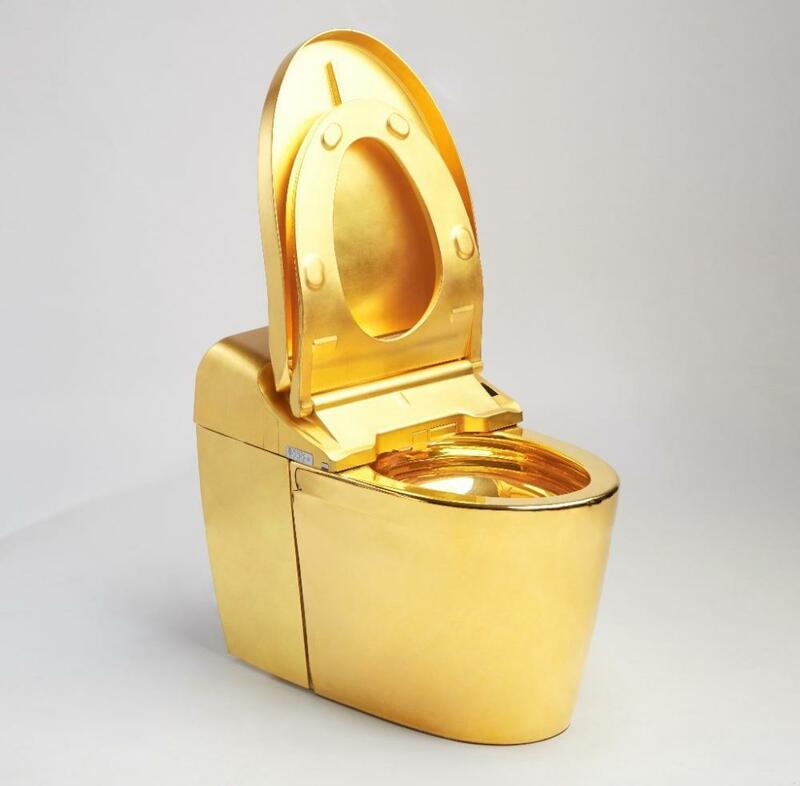 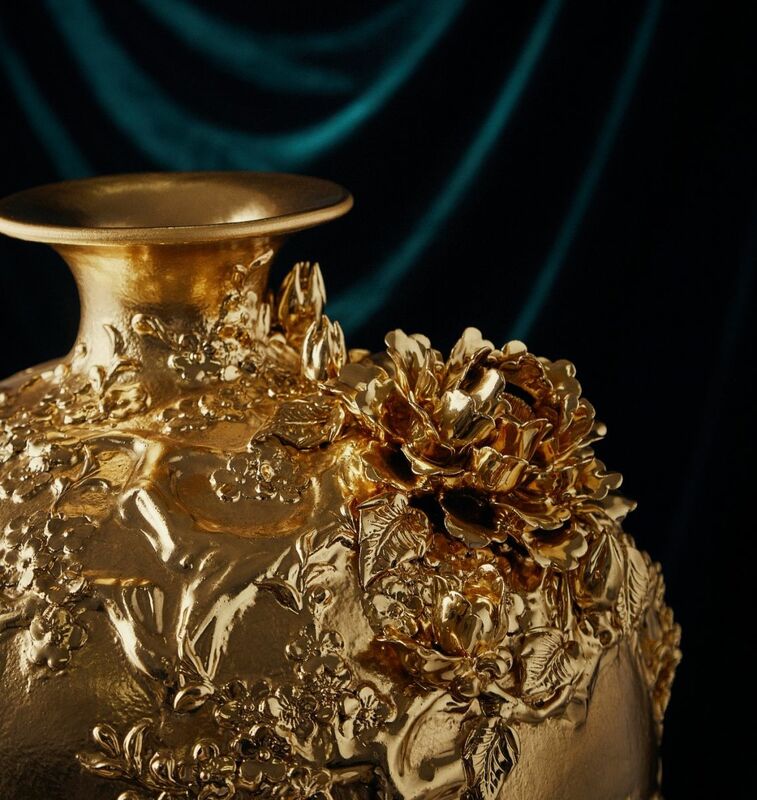 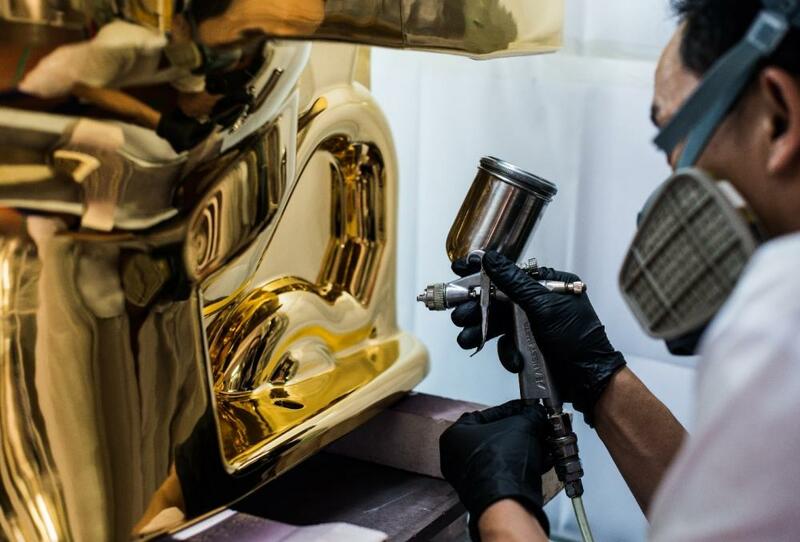 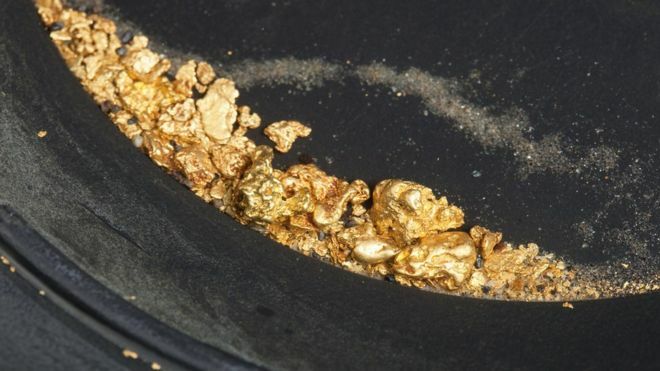 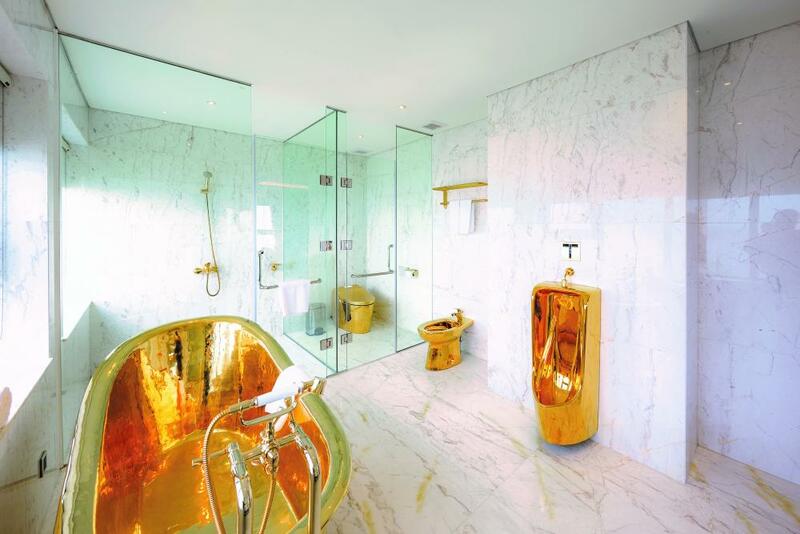 As one of the most luxurious in-house products, the one and only 24K Golden Toilet is both well functional and aesthetically pleasing by which the owners can express their unique taste in interior decoration. 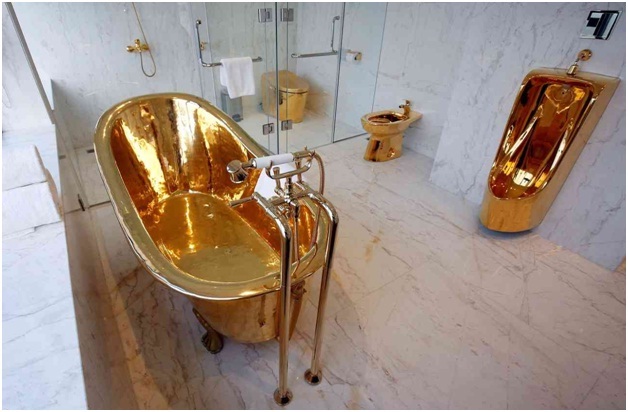 A bathtub might be just one of the usual bathroom facilities to many people. 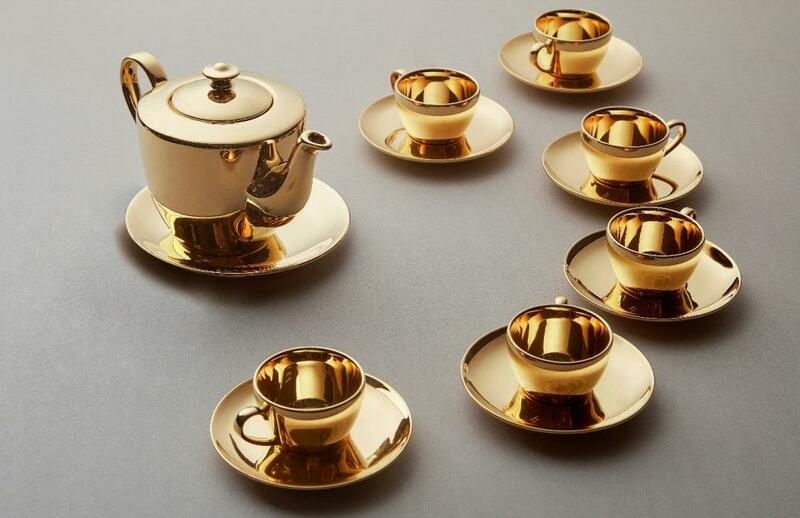 However, there are always those who desire to express their exquisite taste and wealth in style, with the most luxurious things made from the most ordinary. 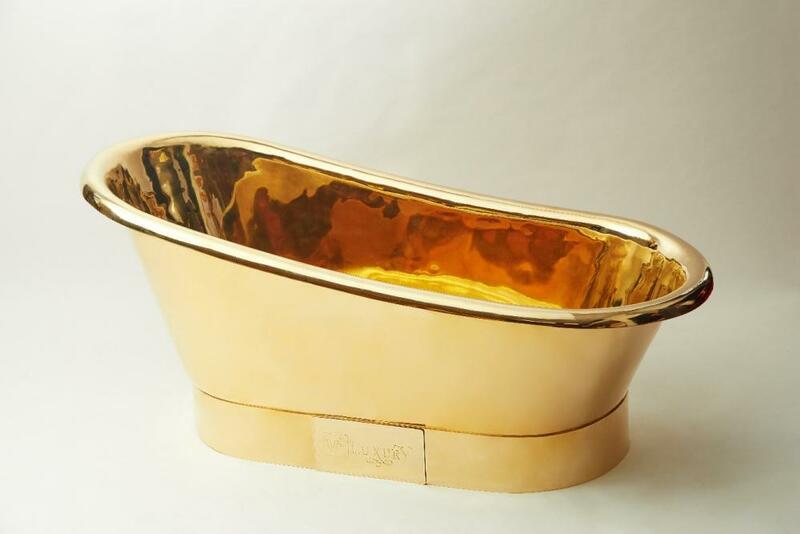 The high-end set of bathroom amenities comprises mainly the 24k gold plated and gilded bathtub, washbasin, toilet, bidet, faucet and towel rack and other accessories. 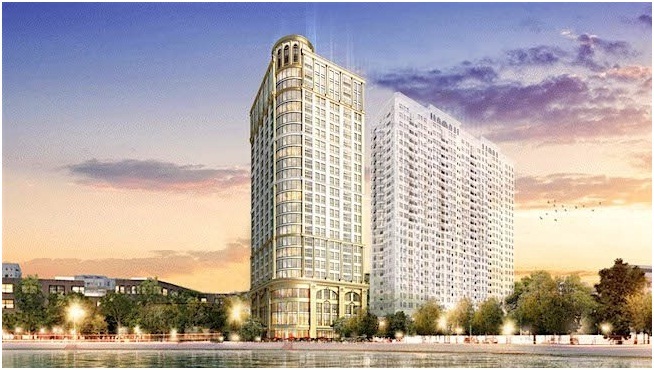 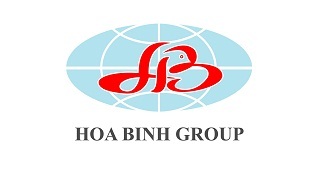 Since 2006, Hoa Binh Group has been determined to develop the technology of gold galvanizing & gilding on different substrates.